The Newbridge Silverware stainless steel cutlery collection is distinguished by wonderful craftsmanship, detailed finishes and superb quality materials making it an excellent choice for the perfect table setting. S/Steel Celtic 6 Piece Steak. 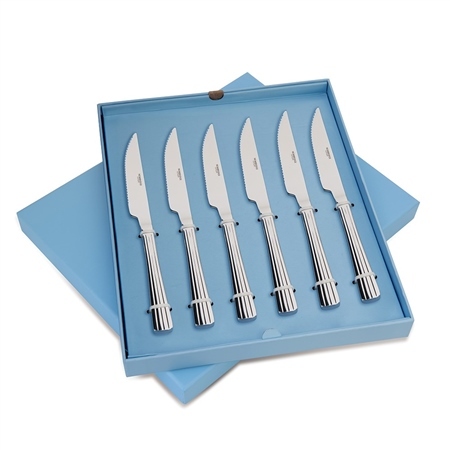 18/10 stainless steel cutlery 6pce steak knife set, Celtic pattern design 215mm in length. Nova pattern shown for illustration purposes only.